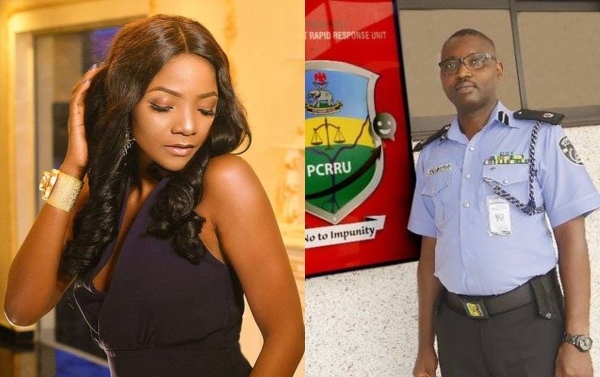 Simi has also called out Yomi Shogunle, the head of Police Public Complaint Rapid Response Unit, who also confirmed he blocked her after Ruggedman slammed him. 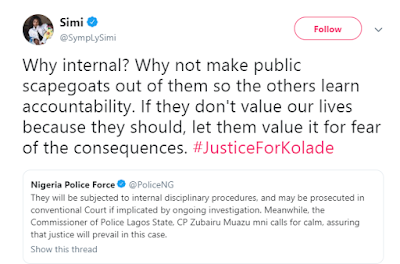 Recall that Ruggedman called out the Assistant Commissioner of Police who according to him, blocked him over the recent killing of Kolade Johnson by SARS operatives. Simi who confirmed she was also blocked by Yomi Shogunle in reaction to Ruggedman's tweet, wrote; Apparently I've been blocked too. Blocked a while ago too. 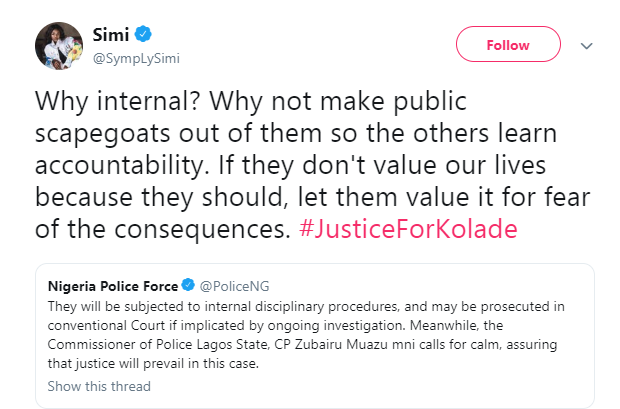 God help us.